Tired of the same old sales seminars? 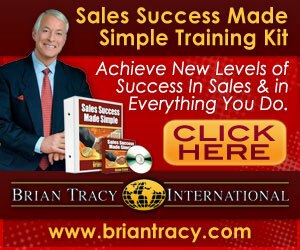 AK 47 Sales Training will be the most emotional and exciting sales training you'll ever go through. Sales is a very tough and emotional sport. It's also the highest paying-hardest job and simultaneously the lowest paying-easiest job in the market place. Shoot the most proliferated weapon in the world! When you're a sales pro , hearing "No", attending sales meetings, prospecting, making your numbers and keeping the home life intact, it's tough to be smiling and dialing all day. Where do you draw your energy and your enthusiasm from to keep going?Sales traininig and seminars are great...for about 3 days. There's no emotional experiences to tie the training to. Firing an AK-47 will be an emotional experience that you will never forget. How does AK-47 Sales Training Work? Safety First! No attendee will be put in a position that is uncomfortable or unsafe for them. All courses are supervised by experience military operators. Fun next! I haven't seen anyone walk off the range without a big smile on their face! This is quite possibly the most fun you can have with you clothes on! The training is specifically tailored to your product or service and the culture of your sales organization. We're here to accelerate your sales not change what your company is doing. You'll learn how the AK works, how to properly and safely hold the AK, how to load the magazine, sight in your target (sneak peak: Your high income goal is the head shot!) and squeeze off the rounds hitting your target. Who's the AK 47 Sales Training Sales Trainer? The lead instructor is Steve Cassidy. Steve's varied background includes Varsity Football at Tennessee Tech and a short stop with the Dallas Cowboys, top sales pro for 3 publicly traded companies including UBS Financial. Steve also served as a US Navy EOD Tech then carried his skills into the civilian market place, building his company SGC Group. Steve and SGC Group trained Special Forces, DEA and other EOD Techs in Improvised Explosive Devices and Improvised Weapons of Mass Destruction. Steve continues to travel globally for training and operations involving unexploded ordnance of all types. Steve's unique background ensures you're team is getting the best combination of safety, real-world operational experience and the highest level of corporate sales expertise. What does Range Day Look Like? We'll meet out at our range and start the day with an Initial Safety Brief. This is standard for all high-risk operations and will help clarify safety concerns and how to properly use ear protection, eye protection, mis-fires and Cease Fire's. After all questions have been answered, we'll move to the range under the guidance of Steve Cassidy to begin this unique AK-47 sales training. All Sales Pros will be putting lead down range and should expect to shoot about 60-90 rounds during the training. All Sales Pros will be keeping their target to hang on the back of their door to remind them of this great experience. After Steve has concluded the actual training and the Sales Manager is happy with the results, we'll move into a less formal but still safe familiarization fire for those that want to shoot more. We'll also be shooting the M4, Glock pistols and the Saiga 12 which is a 12 guage shotgun built on an AK frame. I've been through plenty of sales seminars and trainings but what I always like to do is have "the meeting after the meeting." Obviously not mandatory but after our AK-47 Sales Training, I like to have a chance to meet with everyone over a beer and cigar, usually at Stogies in Cool Springs. It's a great chance to just talk, hang out, network and brag about what we just did. The first round is on me. To get started with AK-47 Sales Training, just fill out the form below. We'll answer all of your questions to make sure that you receive the biggest bang for the buck.